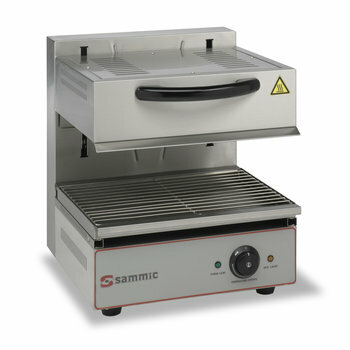 Fixed and mobile salamanders ideal to roast directly or gratin all types of food before serving. Ideal to roast directly or gratin all types of food before serving. Stainless steel made & stainless steel components. 3 trays positions. Independent adjustable thermostats. Removable fat-collector tray. SGF-650 model extra lower heating element. 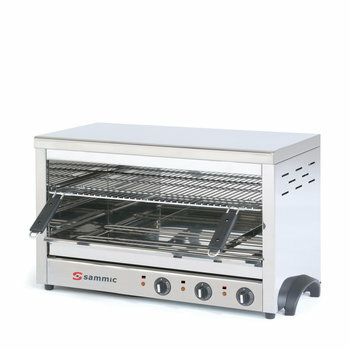 Ideal to roast directly or gratin all types of food before serving. 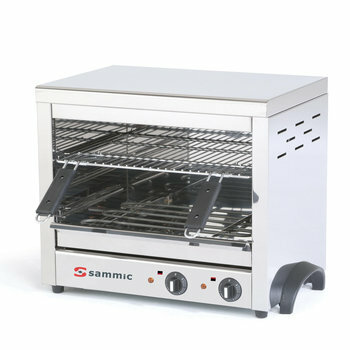 Manufactured in stainless steel & stainless steel heating elements. Height-adjustable top. Adjustable thermostat. Removable falt collection tray.